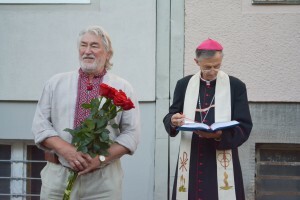 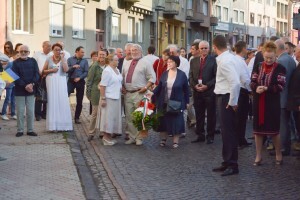 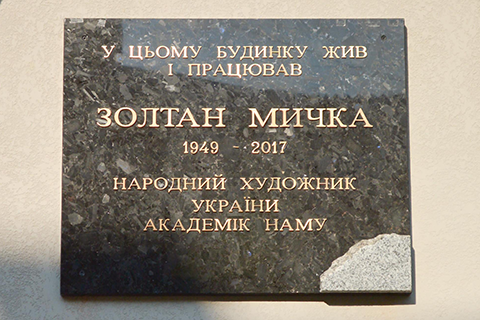 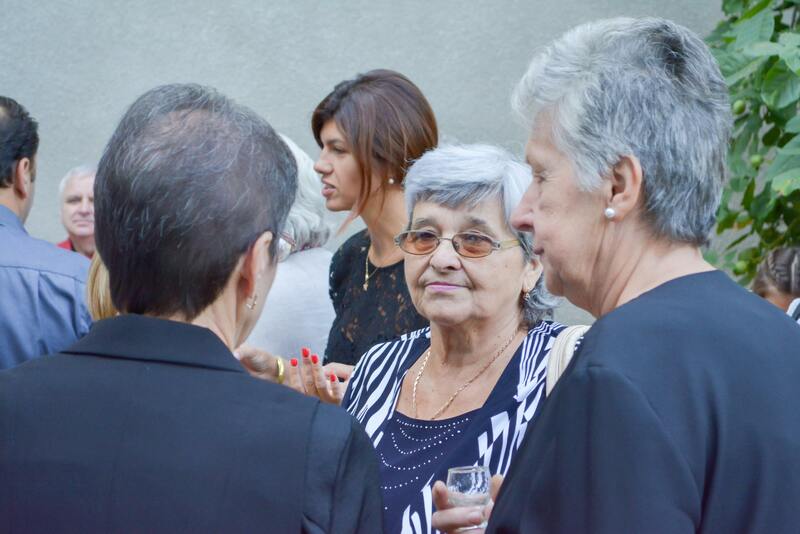 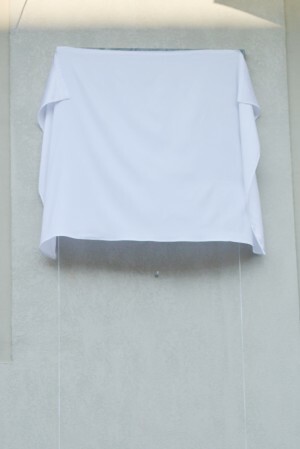 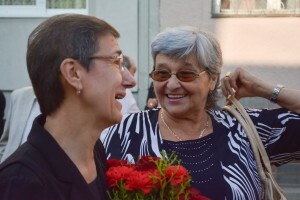 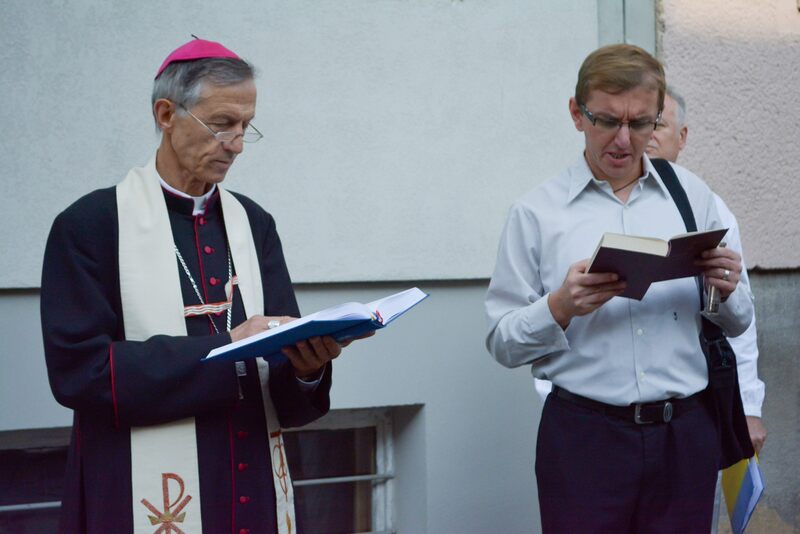 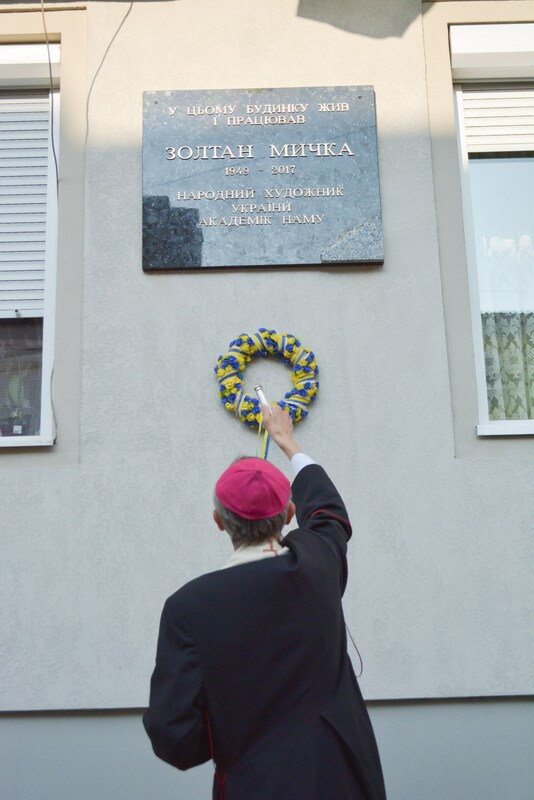 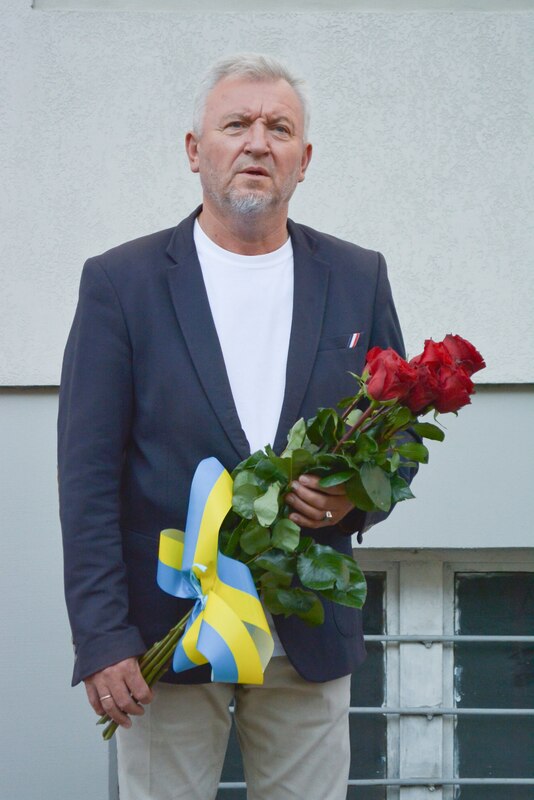 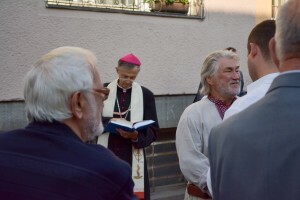 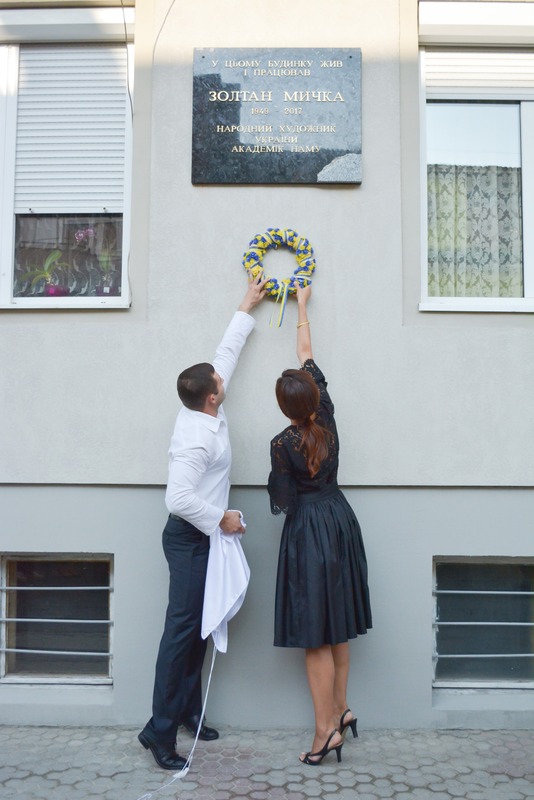 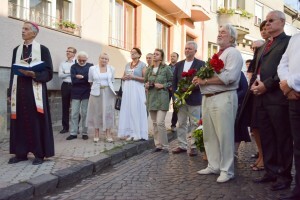 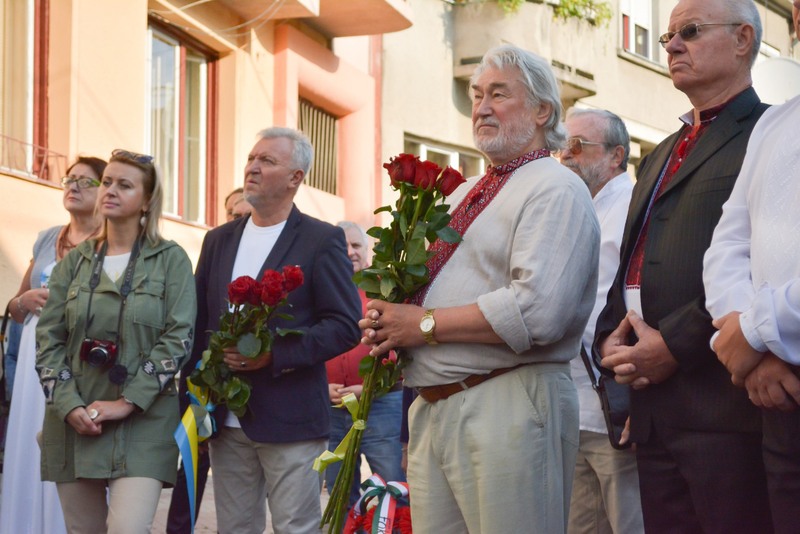 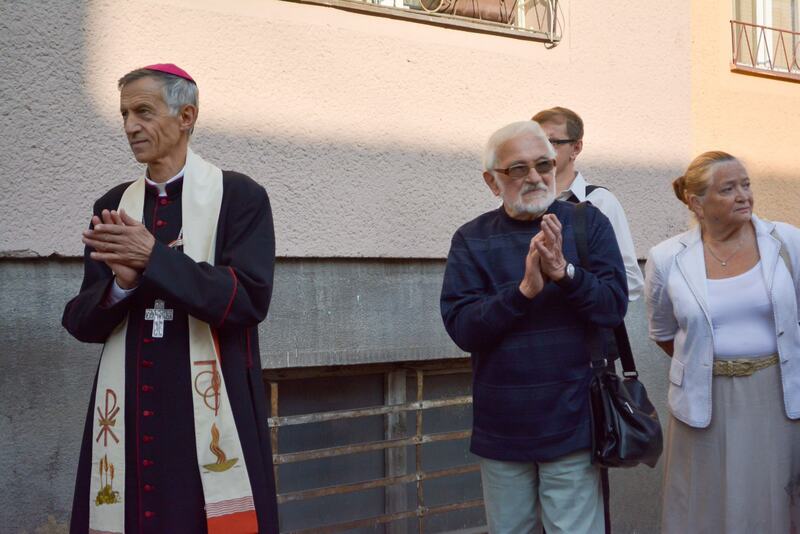 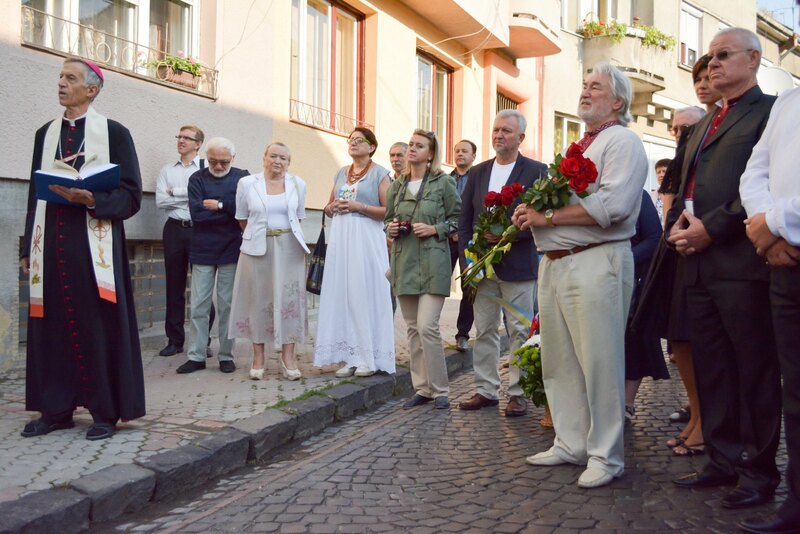 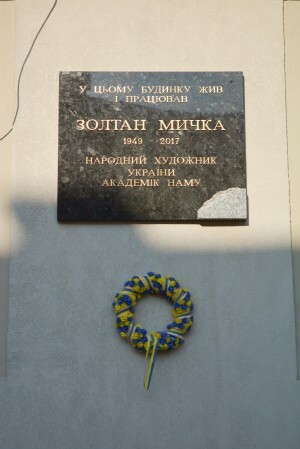 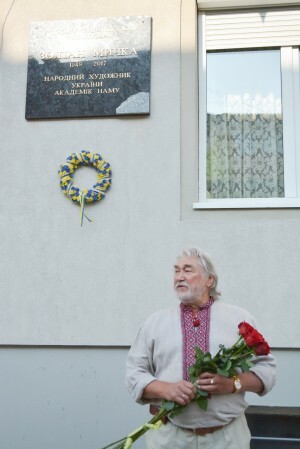 On Thursday, August 24, 2017, in 18 Nedetsei Street, Mukachevo it was held a solemn opening of the memorial plaque to the famous Transcarpathian painter, People's Artist of Ukraine, Honorary Academician of the National Academy of Arts of Ukraine, Laureate of the Regional Prize named after. 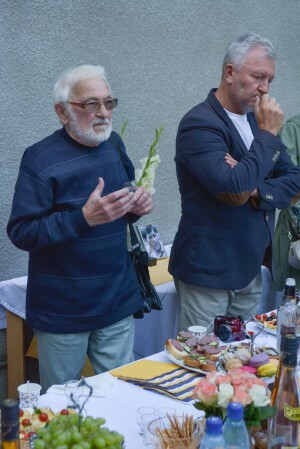 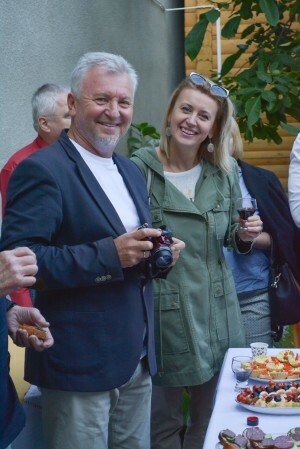 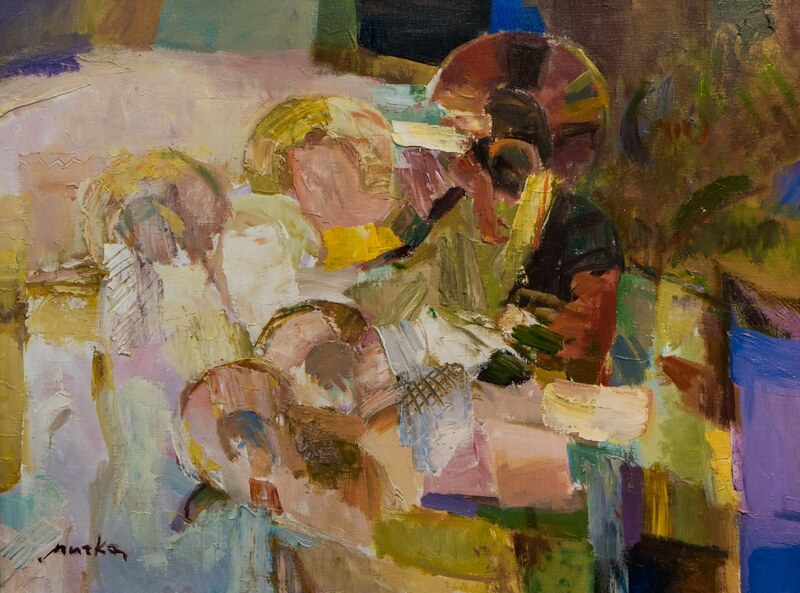 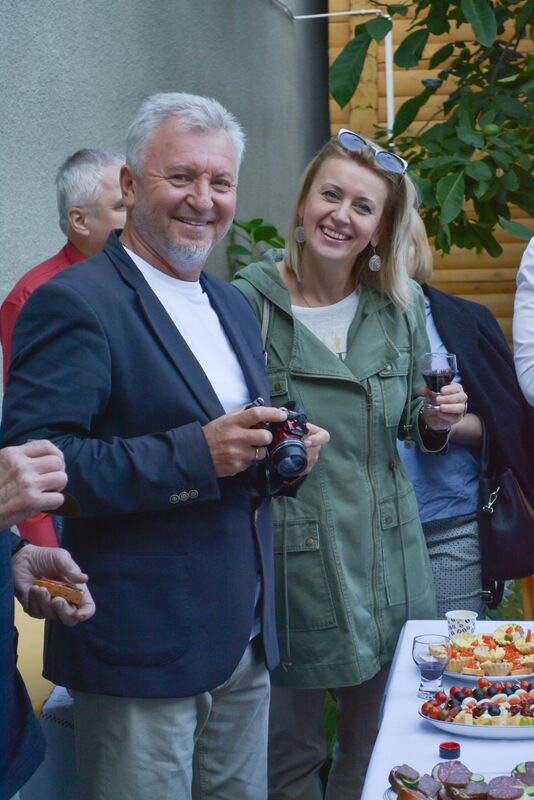 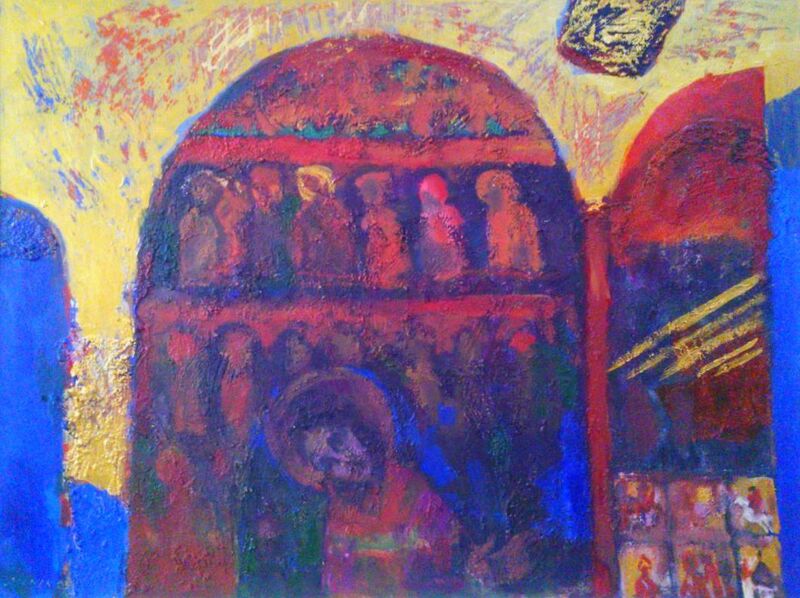 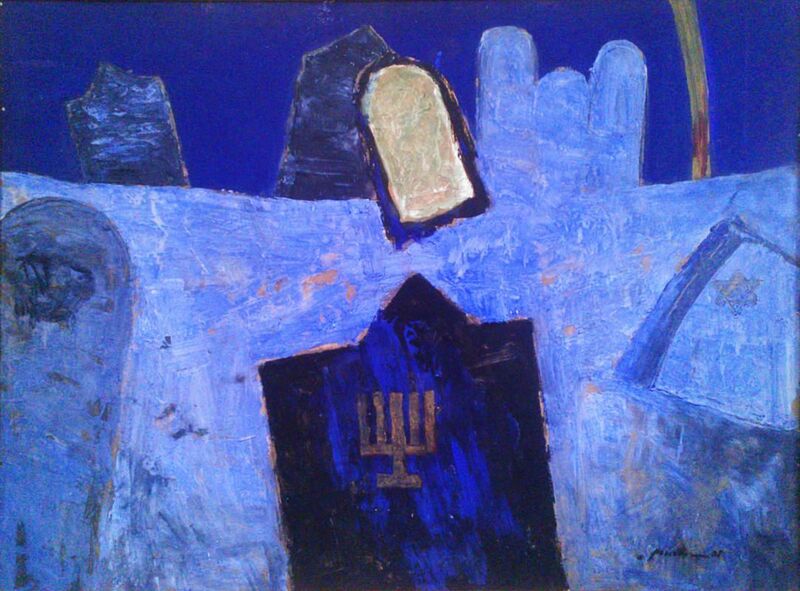 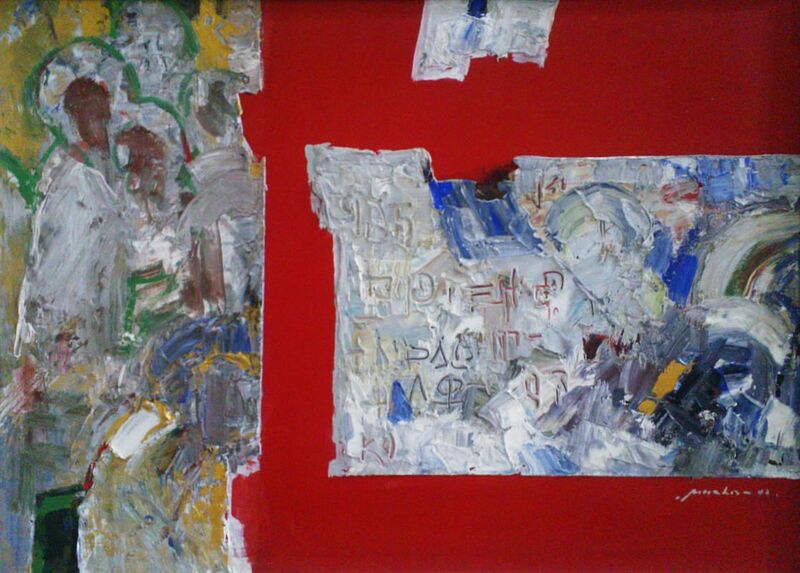 Y. Bokshai and A. Erdeli in fine arts, member of the National Union of Artists of Ukraine Zoltan Mychka (1949 - 2017). 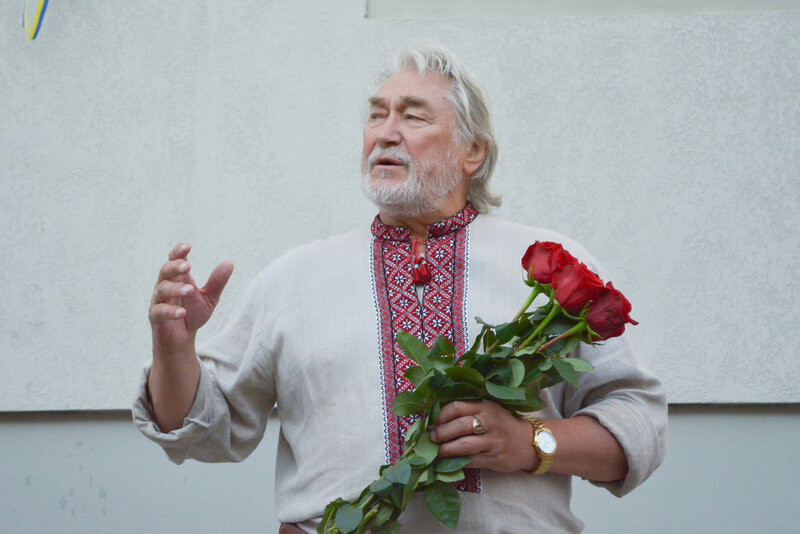 The talented artist and a remarkable person was honoured not only by friends and relatives, but also by connoisseurs of his creativity – he would have turned 68 on that day. The works of Zoltan Mychka are profound and intellectual, the author used allegorically metaphorical images, associative symbolism. 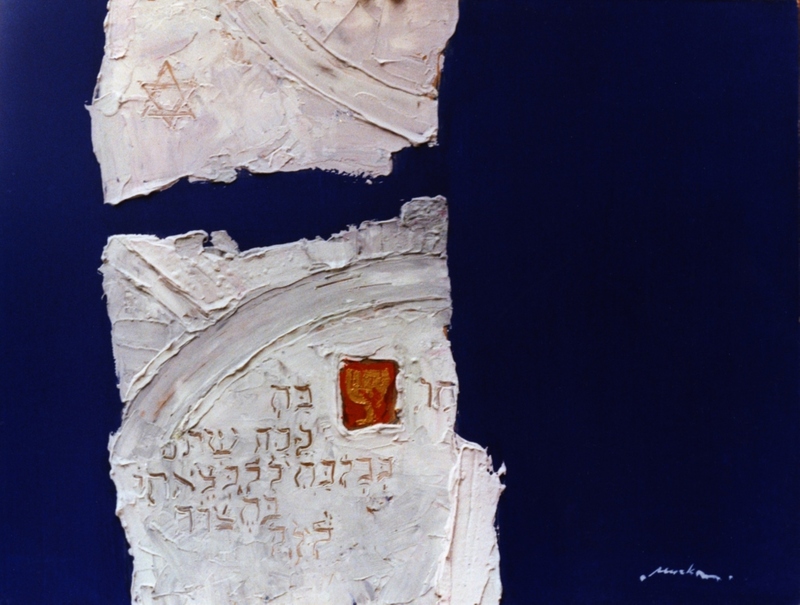 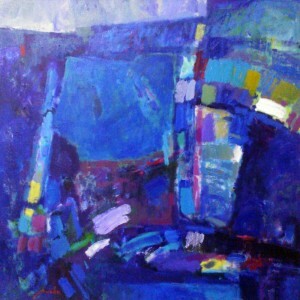 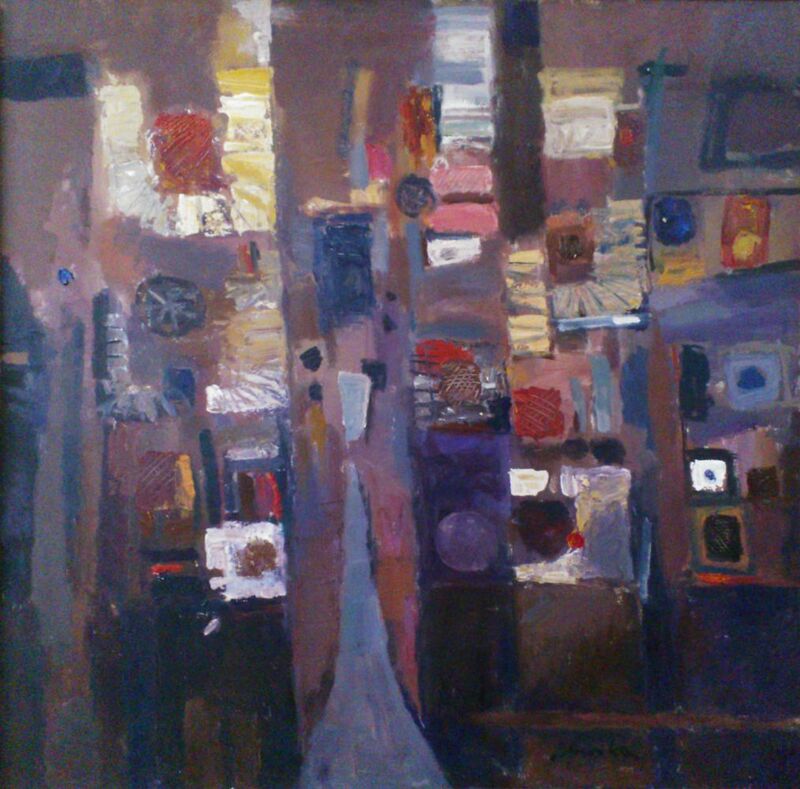 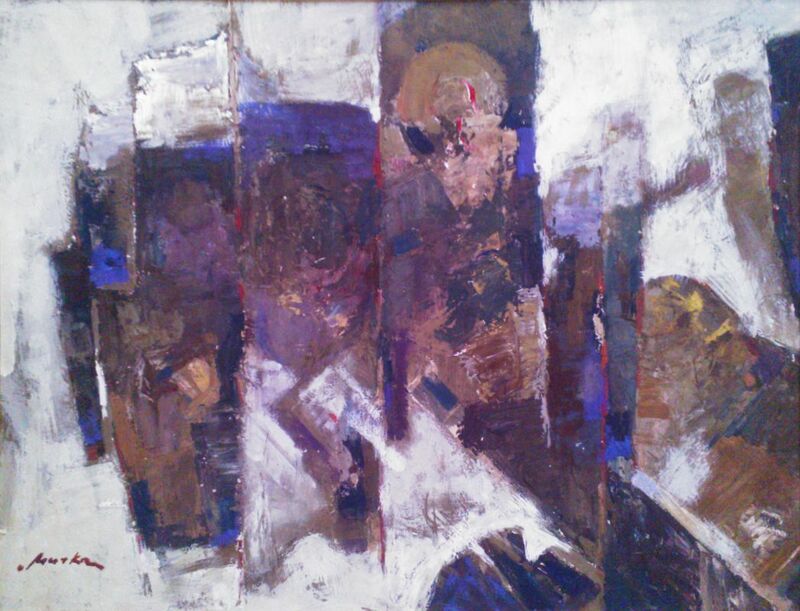 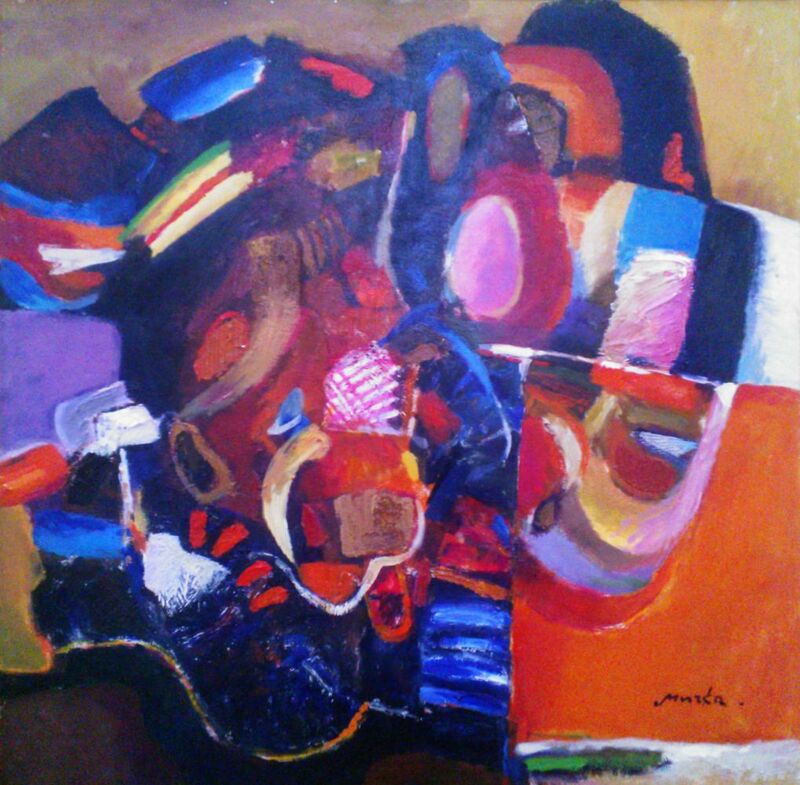 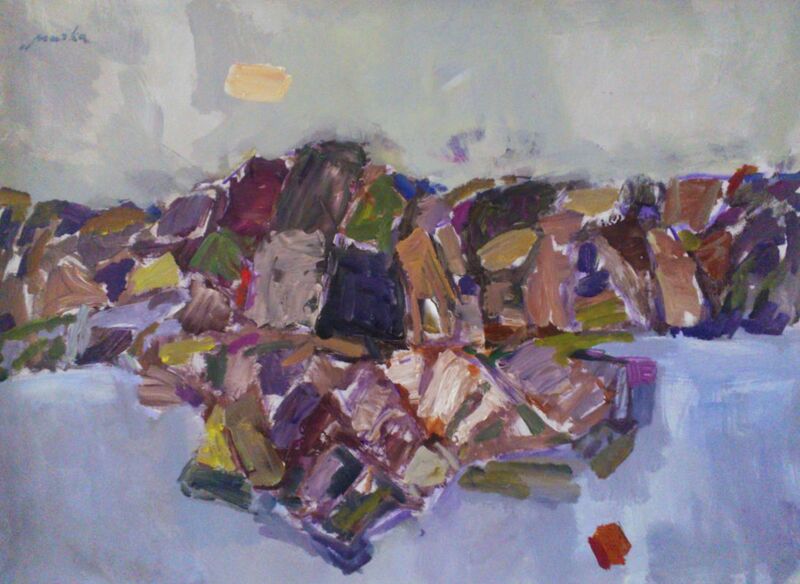 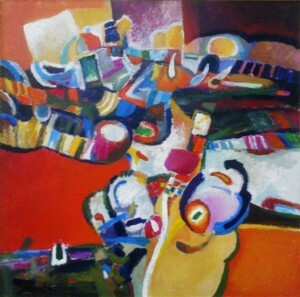 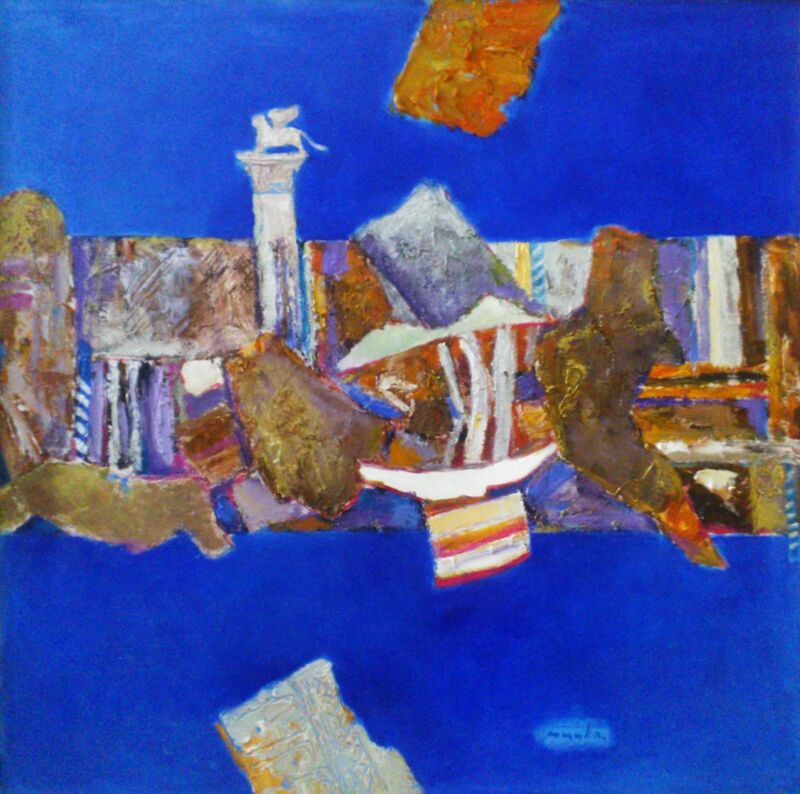 The artist's works are characterized by monochromatic constructions, bold juxtaposition of planes on the canvas space, dynamic chords of certain colours on the continuous background. 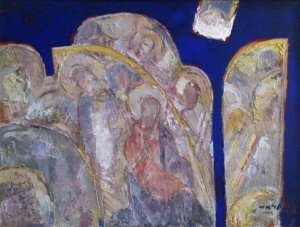 The artist created a lot of landscapes, but often used religious topics. 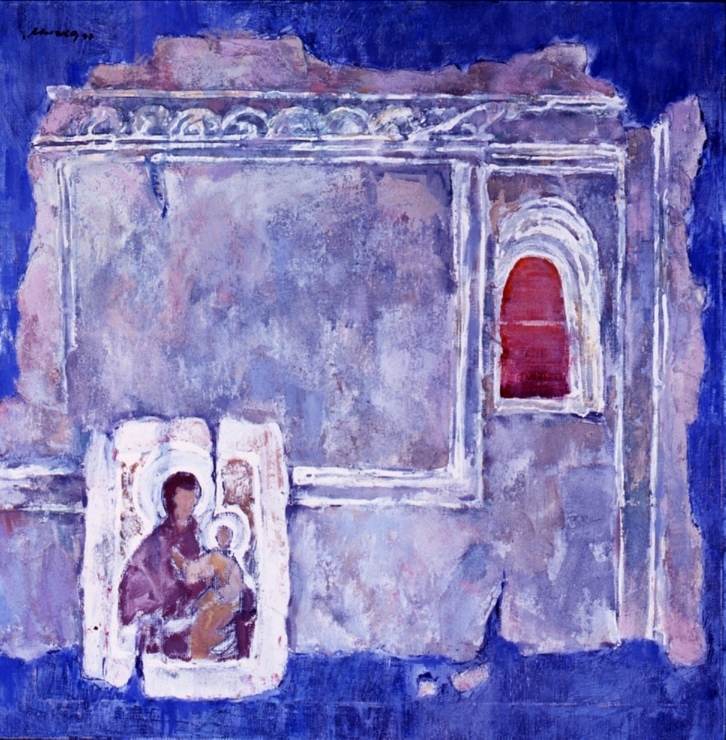 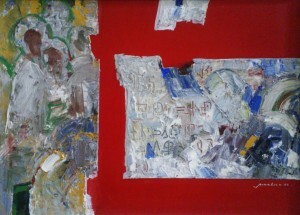 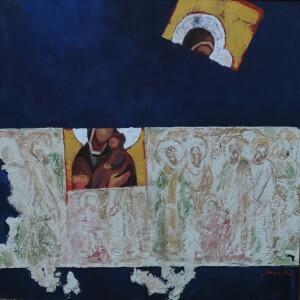 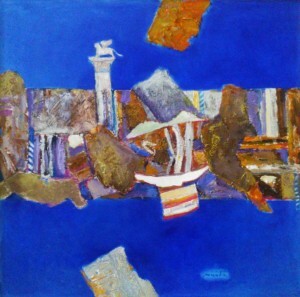 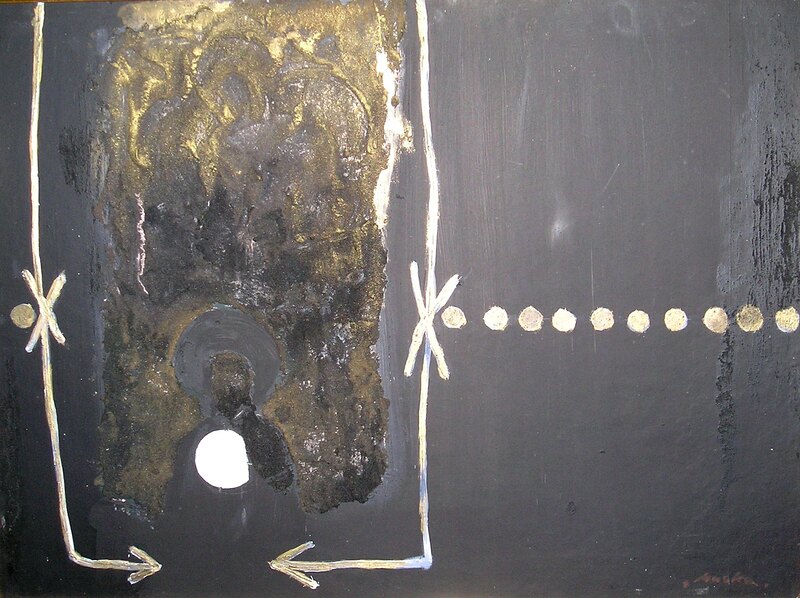 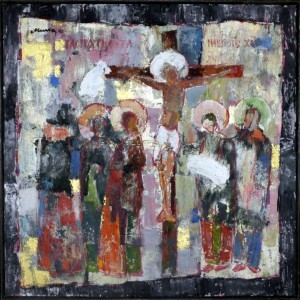 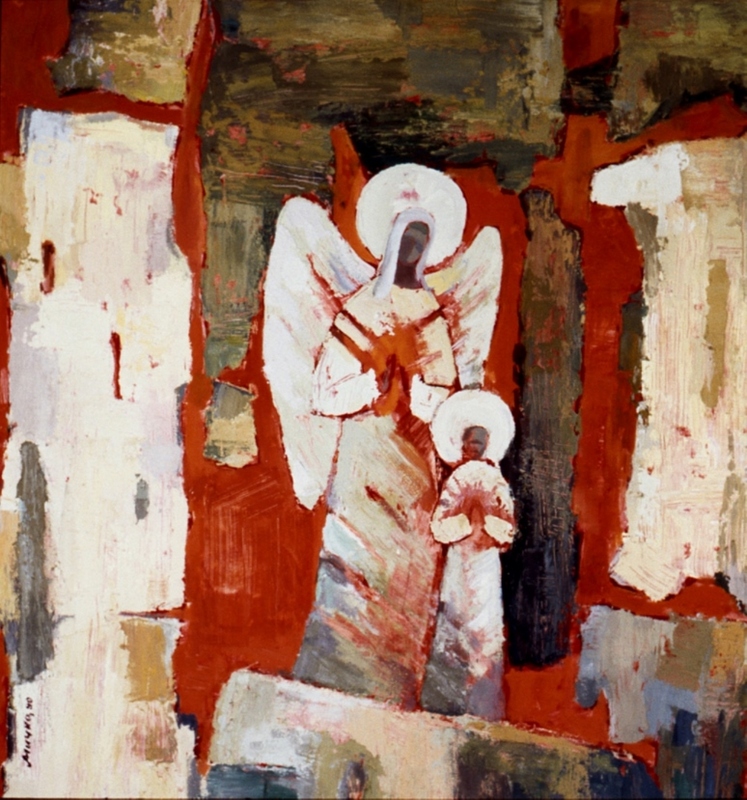 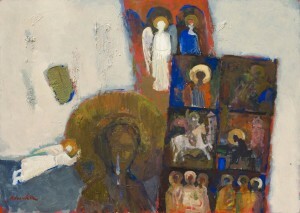 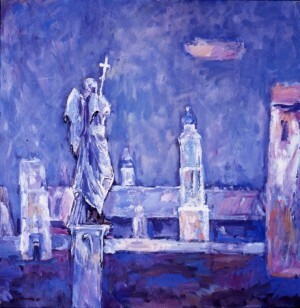 His works are kept in museums and private collections not only in Ukraine, but all over the world.